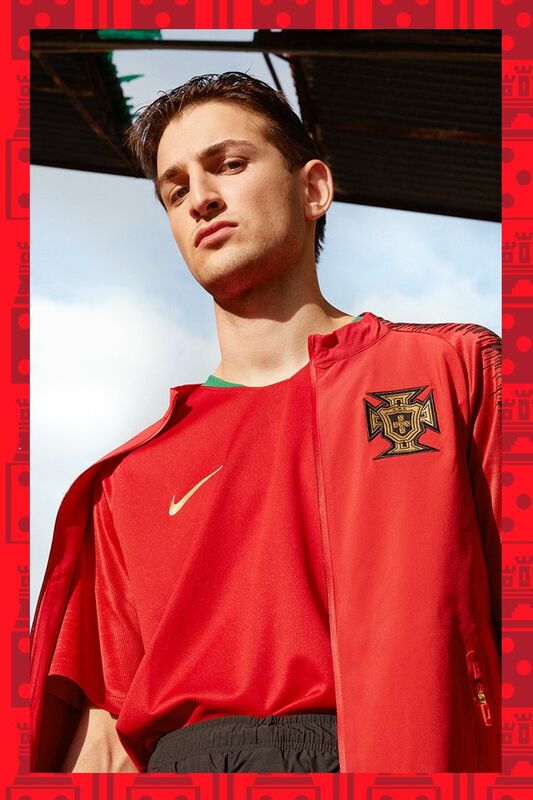 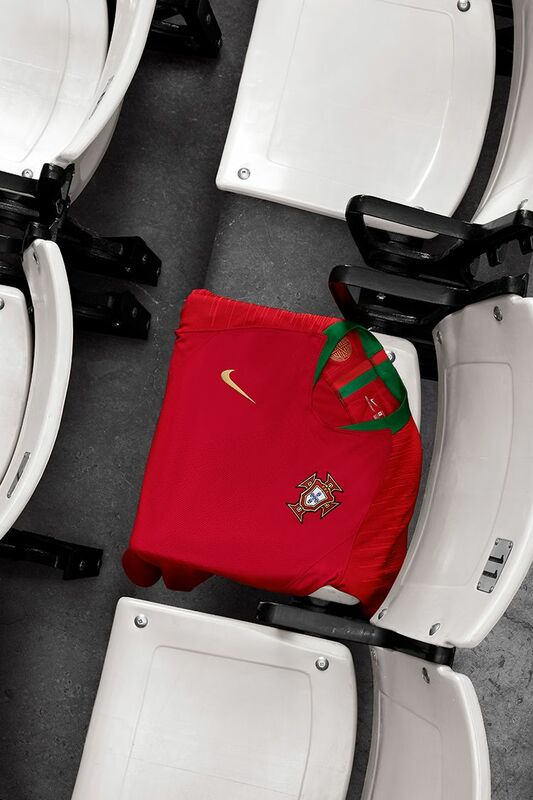 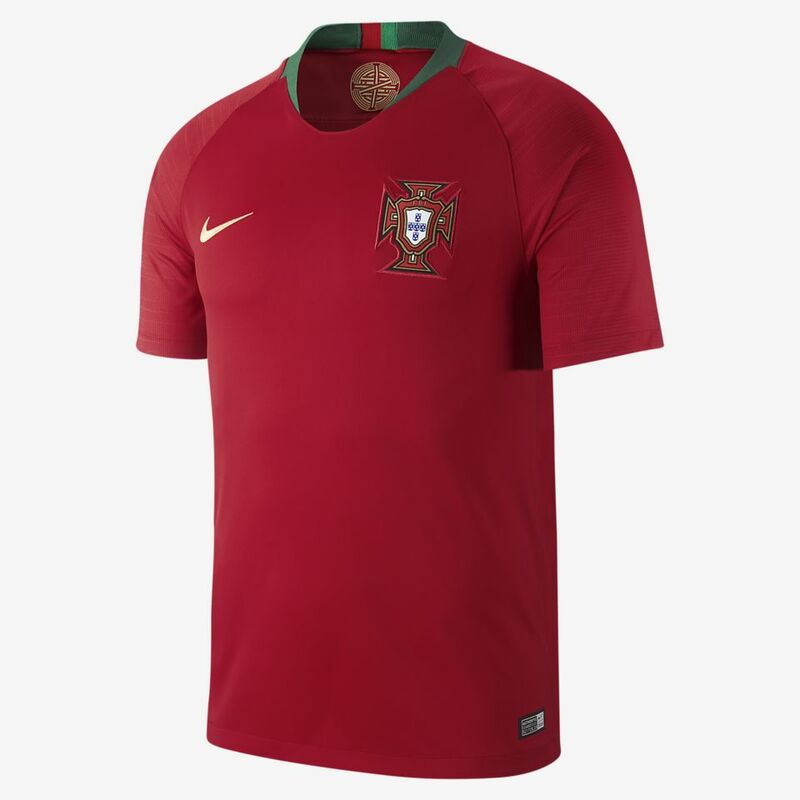 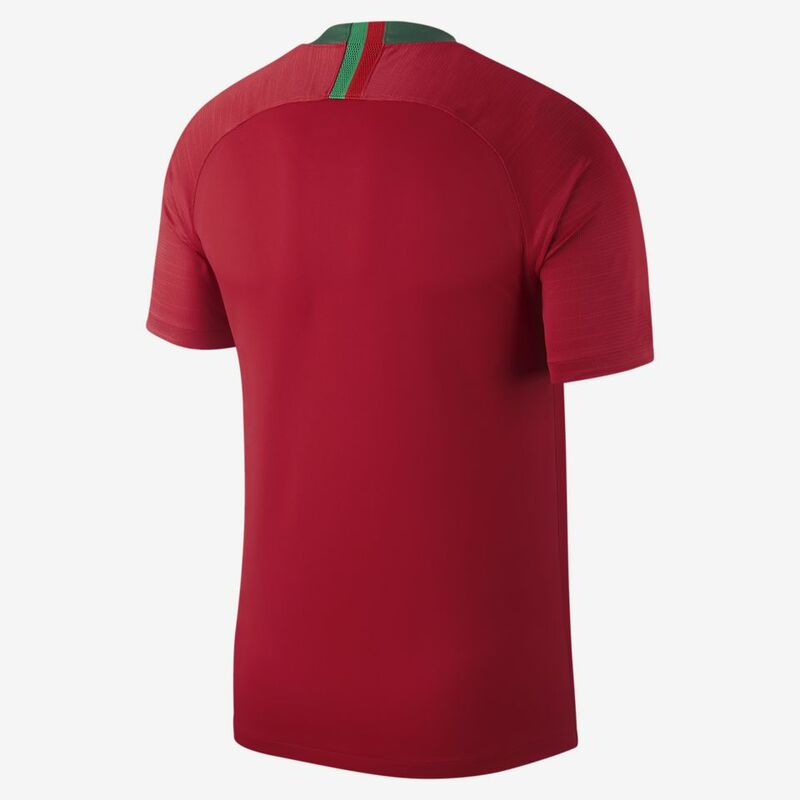 Sailing off the momentum of their first continental title, Portugal will travel to Russia as kings of Europe, wearing a shirt befitting their regal status. 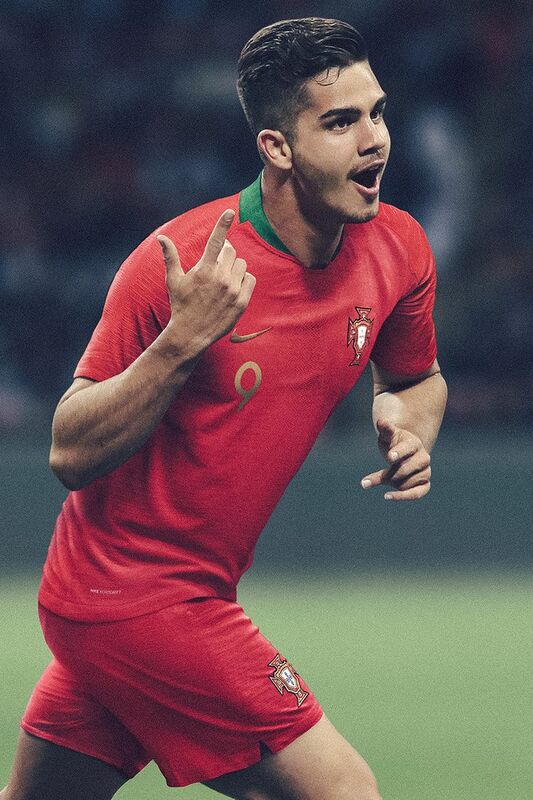 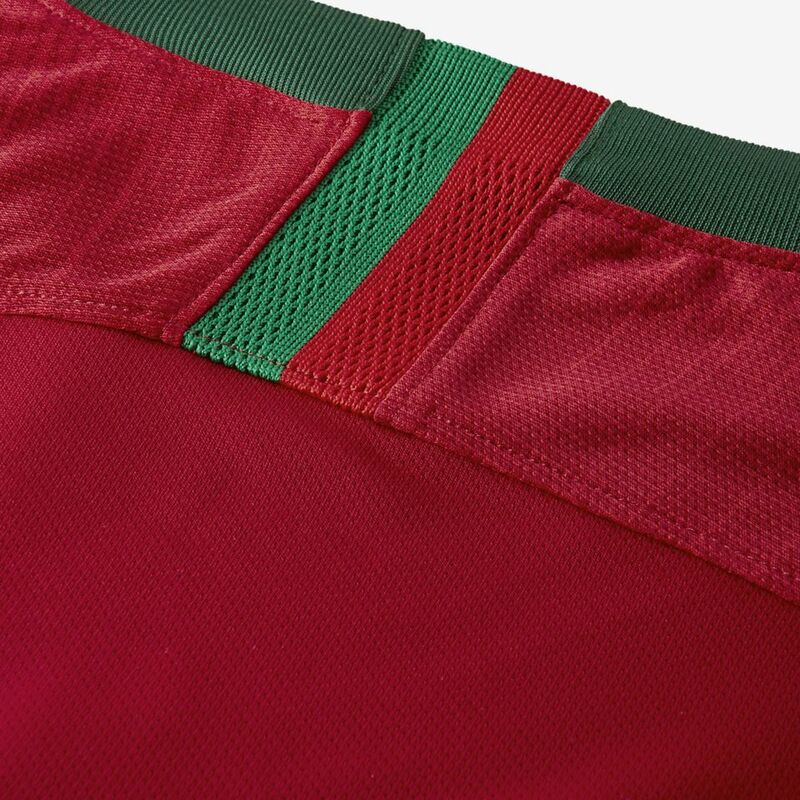 Designed with a classically Portuguese aesthetic, the 2018 home kit is based in a traditional deep red, accented with brighter sleeves, and a green collar. 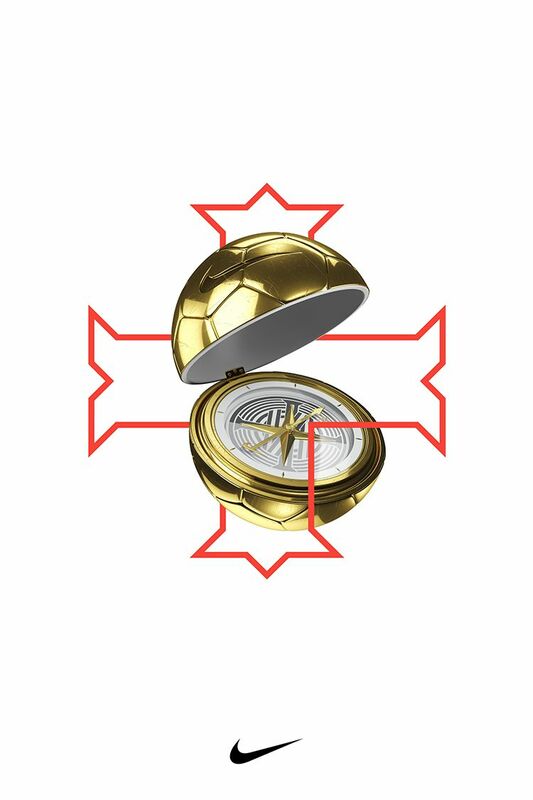 The golden swoosh symbolizes the federation's continental title, won in 2016. 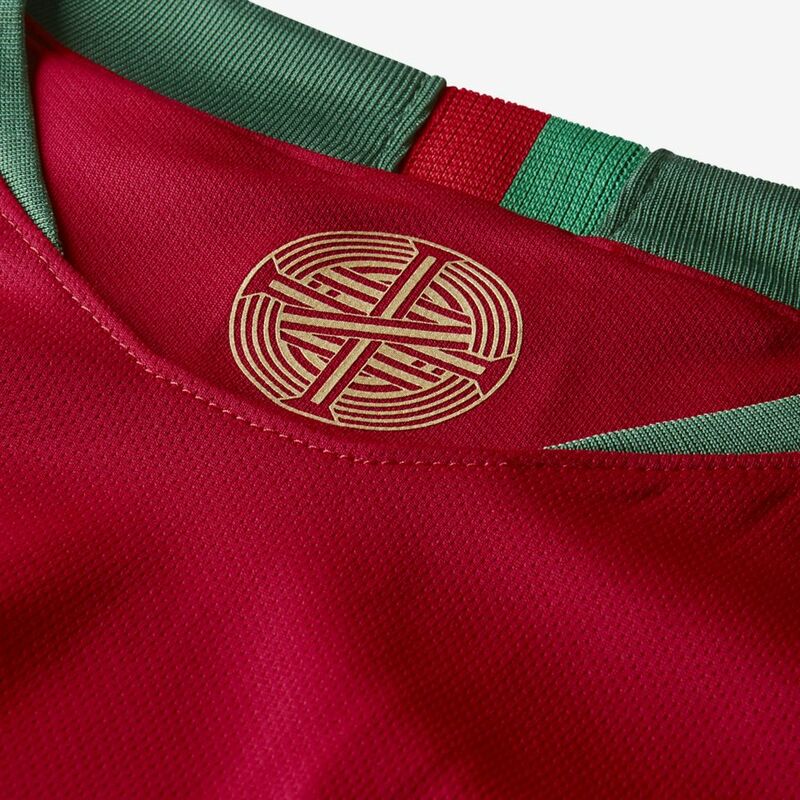 An Armillary Sphere is printed inside the shirt collar-a mark of Portugal's rich maritime history. 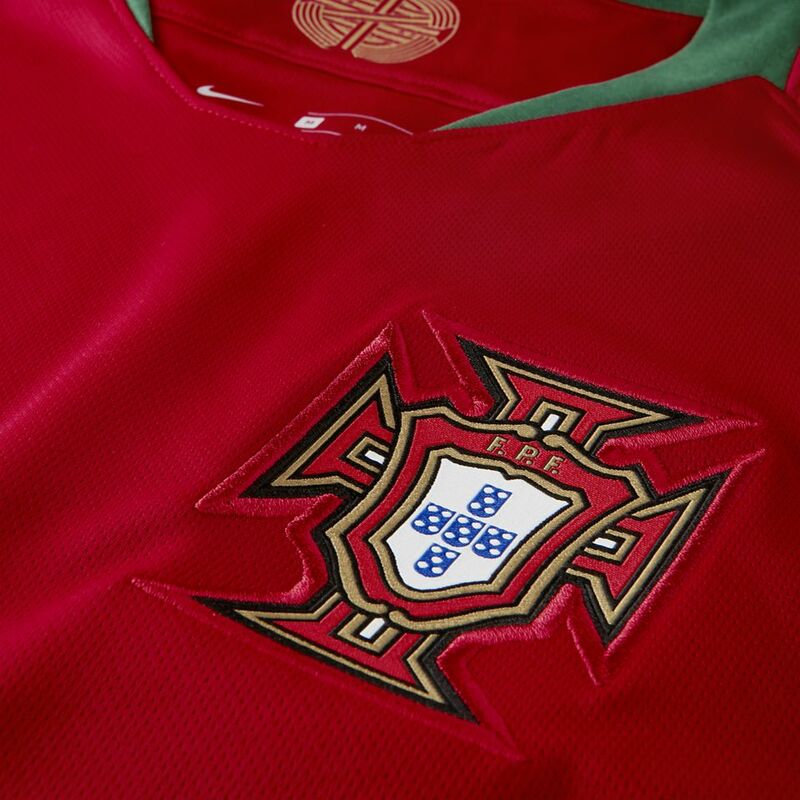 Portugal's football federation was founded in 1914 and debuted on the international stage in 1966. 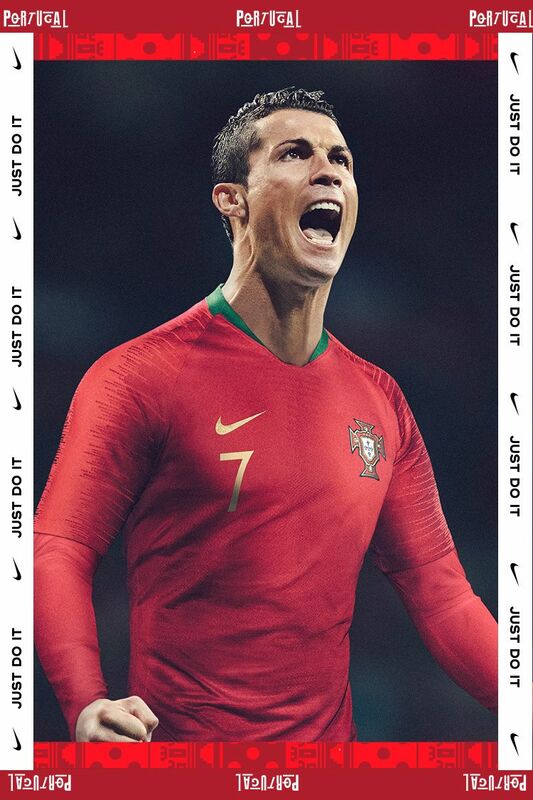 After second and third place finishes on the biggest stages between 2000 and 2012, they finally lifted the trophy as the champions of Europe in 2016. 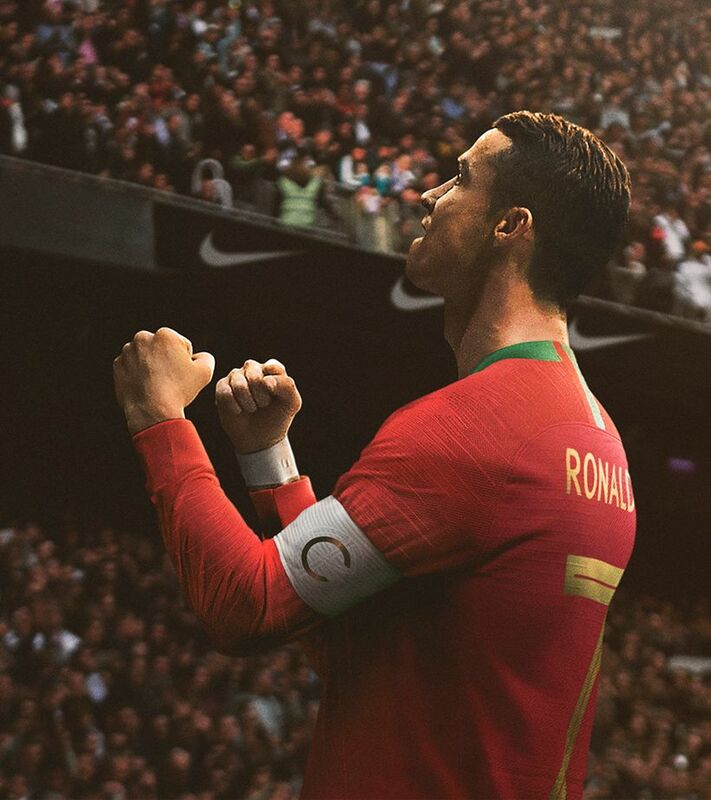 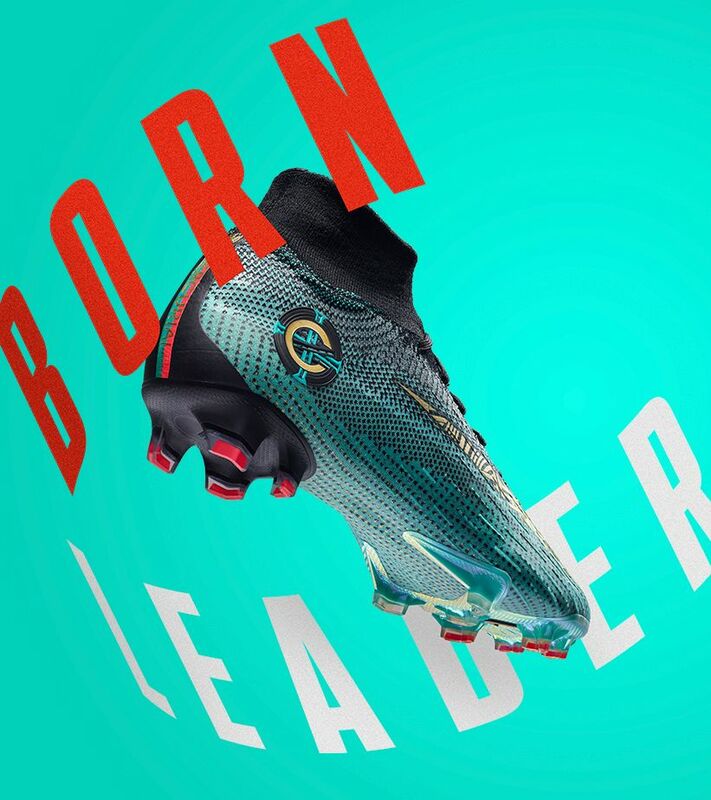 Now, they have their sights set on the world stage with more momentum and ambition than ever.